With 25 years experience with weighing and vehicle tracking systems, our consulting and custom software design services can improve and streamline your operations. Our application and database professionals specialize in both desktop and mobile applications and will work hand in hand with you all the way from the initial design phase to installation and support. Our philosophy is to involve the customer every step of the way so that when the application is installed you, our customer, get exactly what you want when you want it. We also maintain a standards based approach to software development using the most modern technology and languages, which means that your software will age well for years to come. Unlike pure software firms, ISI is also adept at hardware integration and can assist you in interfacing and automating hardware devices. Our upcoming and previous projects include: mobile ticketing systems, customer service applications, kiosk applications, route management systems, and others. 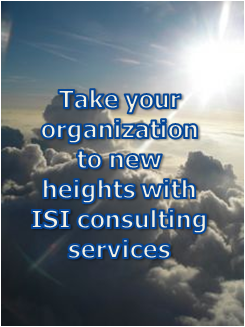 For a more detailed discussion of how ISI consulting can help your business or to request a discussion with one of our consultants, call us at (877) 406-3330 or send email to our sales department.